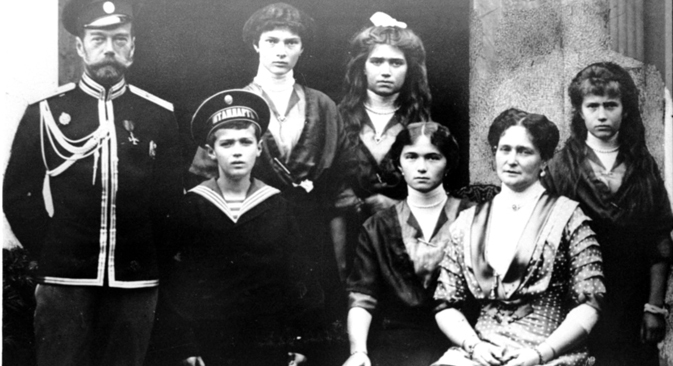 The last Russian Tsar Nicholas II and his family were murdered in 1918 but it is only in the past 25 years that the first truly full investigation has been conducted. RBTH talks about the 1991-2011 probe into the historic killings with Vladimir Solovyov, senior forensic investigator with Russia's Investigation Committee, how it contributed to the development of modern genetics and the role played by famous musician Mstislav Rostropovich and the late former Russian deputy prime minister Boris Nemtsov. Launching an investigation into the murder of the Tsar and his family almost a century after their deaths was facilitated by the fact Russia has no statute of limitations for homicides, explains senior investigator and criminologist Vladimir Solovyov. In Soviet times authorities had no interest in investigating the case. The key challenge was to prove that the remains found near Yekaterinburg belonged to the Tsar's family. "The work of a criminologist is in exposing myths," Solovyov says. "This was a chance to be involved in a fascinating investigation - one that went beyond my normal range of duties." The first murder probe was conducted by White Guards soon after the deaths by investigators named Namyotkin, Sergeyev and Sokolov. In particular a large amount of material was collected by Sokolov - which was to play a major role in the modern investigation. "We decided to look for everything connected to the 'Sokolov case,'" Solovyov says. "The Russian military prosecutor's office had four volumes of his materials, but we widened our search worldwide." After the Bolshevik revolution Sokolov had emigrated and taken many documents with him. Solovyov's first stop in his search for this material was the British Royal Archives, where he was helped by Britain's Russian-speaking Prince Michael of Kent, who is related to the last Tsar. But he failed to find any sensational data. Later he learned that Sokolov's most important documents had at one time fallen into the hands of Count Orlov and that subsequently the count's descendants had auctioned the fascinating material at Sotheby's in London for more than £600,000. They were eventually acquired by Prince Hans Adam II of Liechtenstein who passed them back to Russia in exchange for other documents relating to his own family. Many famous people helped Solovyov in his quest. Boris Nemtsov, who at the time headed the government commission, authorised forensic and medical experts who equipped and staffed a genetic laboratory. Mstislav Rostropovich sourced donations for genetic analysis and helped buy, in the Japanese city of Otsu, a key artefact – a piece of cloth which held traces of the Tsar's blood. The blood-soaked handkerchief dated back to an 1891 assassination attempt on Nicholas II during a visit to the city. Anatoly Sobchak, the former mayor of St Petersburg had come across the exhibit by accident. But despite many efforts, it was impossible to obtain genetic analysis from the cloth - the fabric turned out to be unsuitable for examination. Initially, genetics experts conducted tests using blood samples from members of the Danish and British royal houses. "The examination was carried out on mitochondrial DNA, so we needed the relatives of the royal family through the female line," Solovyov says. "Alexandra Feodorovna's mother was a daughter of Queen Victoria. And here we were lucky, since Prince Philip, the current Queen Elizabeth's husband, is descended from Queen Victoria." But the investigators lacked anything with which to compare the modern blood samples. It was only in 2007 that blood suitable for genetic analysis from Nicholas II was discovered. It turned out that it was literally at the investigators' fingertips all the time; the shirt the last Tsar was wearing on the day of the 1891 assassination attempt in Otsu, complete with testable traces of his blood, was in the collection of St Petersburg's famous Hermitage Museum. The final examination involved several independent geneticist commissions from Russia, the USA and Austria, who came to the same conclusions. Solovyov says the investigation into the murder of the last Tsar and his family has made a unique contribution to scientific development. "This case has led to cardinally new approaches," the investigator claims. "Now, any work related to identifying dead bodies or remains worldwide is conducted according to the techniques developed in the course of the investigation of this case."